Graphic designer Diane Huynh was looking for a career change. So, a year-and-a-half ago, she enrolled in a few workshops put on by Ladies Learning Code in Calgary. 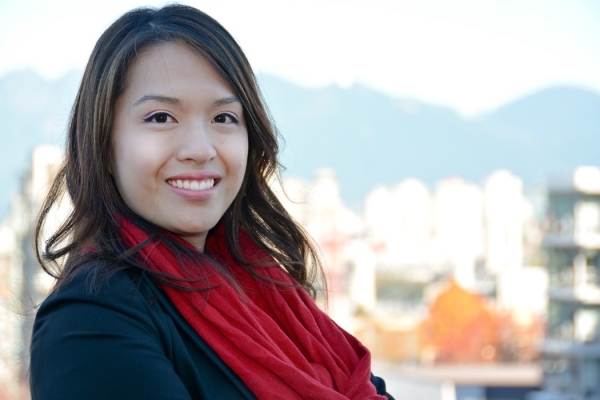 Diane Huynh is the co-lead of the Vancouver chapter of Ladies Learning Code, which offers workshops to women, men, and children. These beginner-friendly workshops, which teach web-development skills, inspired Huynh to move to British Columbia and complete the Interaction Design Essentials program at Emily Carr University of Art and Design. Now the Surrey resident works as a freelance front-end web designer and volunteers as co-lead for Ladies Learning Code’s Vancouver chapter. According to Huynh, Ladies Learning Code organizes workshops that introduce people of all genders to HTML, jQuery, WordPress, and other technologies in a “social and collaborative” environment. The Toronto-based nonprofit, which has chapters in cities across Canada, also offers youth programs called Girls Learning Code and Kids Learning Code. In Vancouver, Ladies Learning Code holds its volunteer-run workshops at least once a month. The one-day events, which cost $50 to attend, vary in size but always see each student seated at a table with a mentor and three other students. Although men participate in Ladies Learning Code workshops as instructors, mentors, and students, Huynh noted the organization aims to encourage more women to work in the technology sector and help increase the diversity in its workplaces. As well, in a competitive job market, coding skills can give prospective employees an “edge”, she asserted. Elago believes that tech jobs aren’t attractive to many women because of the stereotypes associated with them. Thus, she’s happy to volunteer as an instructor and mentor at workshops that have the potential to help rectify the gender imbalance in the male-dominated industry. A December 2013 study by Statistics Canada observed that women remain “underrepresented” in science, technology, engineering, mathematics, and computer science (STEM) programs at universities in this country. The 2011 National Household Survey found that women comprised 39 percent of STEM graduates aged 25 to 34, compared to 59 percent of all graduates in that age range. In May, the Colorado-based National Center for Women and Information Technology published a research summary that pointed out that gender-balanced firms exhibit better financial performance, especially when a significant proportion of senior managers are women. The report noted that these companies also benefit from “superior team dynamics and productivity”. “To realize these benefits, organizations must create supportive infrastructures and cultures that foster diversity,” the report stated. On November 18, Fariba Pacheleh, president of the Vancouver-based Society for Canadian Women in Science and Technology, addressed the House of Commons’ standing committee on the status of women as part of its study on economic leadership and prosperity. The engineer told MPs in Ottawa that “diversity, especially gender diversity, is of paramount economic importance”. Pacheleh called for “comply or explain” policies, whereby corporations report to shareholders if their senior management and workforce are “not sufficiently diverse”. She also advocated the use of “diversity-neutral applications” in hiring to ensure that new employees are selected based on their skills. “Corporations need to create a work climate that not only hires women but retains them through clear workplace policies of inclusion and collegiality, work flexibility, active sponsorship, and access to role models and mentors,” Pacheleh said. Sandra Wear is the CEO of Canadian Women in Technology, a division of the Canadian Advanced Technology Alliance. The technology entrepreneur told the Straight her goal is to achieve gender parity in the tech sector. “What happens is if you have one woman at the table, then that one woman is supposed to represent all women, versus if you’ve got a split and you’ve got different women at the table, you suddenly can realize that we have differences in thoughts and opinions,” Wear said by phone from her Vancouver home. Wear is also one of the organizers of the Be Like Ada initiative, which held a coding boot camp for 150 teenage girls at the Rocky Mountaineer Station in July. Be Like Ada is planning its second event for next summer. Huynh remembers how empowered she felt after finishing her first Ladies Learning Code workshop. She wants to share that feeling with others.